La Fortuna is home to the spectacular Arenal Volcano, bubbling hot springs, and a breathtaking waterfall. 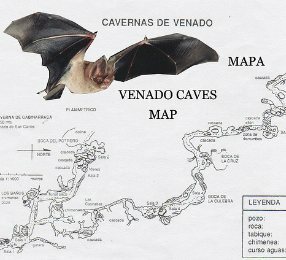 That’s probably why the Venado Caves, located just south of this little town, rarely get much mention. It was only on my third visit to the volcano that our hotel concierge recommend booking a tour. The trip turned out to be one of the most exciting travel adventures I’ve had in Costa Rica. After a 45 minute ride from the hotel in La Fortuna, we arrived at the site of the caves. While we strapped on our helmets and slipped on our boots, our guide explained some of the history of the area. The entire 2,700 meter cave system, he said, was formed millions of years ago by tectonic shifting and strong underground river currents. The caves are not part of a national park. They lie under private property and were discovered by accident in the 1940′s after the farmer who owned the land fell into a hole on the site. With our gear ready and flashlights in hand, we made our way down a long grassy slope to the main entrance, stepping into the river which runs the length of the caves. Within a couple of minutes we were enveloped in complete darkness. 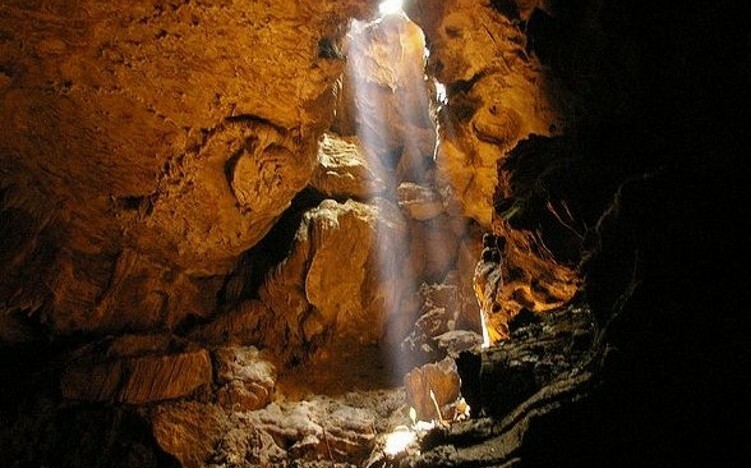 There are no artificial lights installed inside, and only at the “Boca de la Culebra” (the Mouth of the Snake) opening does any natural light shine through. If you happened to find yourself separated from your tour group without a working flashlight, you would be in big trouble here. Our guide led the way, illuminating massive stalactites and stalagmites formed drip by drip, and subterranean critters that have evolved without the need for eyesight. Of course there were also plenty of bats, which constantly darted past just inches from our heads – too close for some in the group. We were told beforehand that the tour would be fairly strenuous, but that nonchalant description didn’t do the trip justice. As we wound our way deeper inside, the terrain got more dicey, and soon the lazy river had risen up to our chests. At some points we refused to believe that a human could fit through the openings that our guide assured us we would be squeezing through. We helped each other climb up steep, slippery ledges, shimmied through small openings in the rock, and crawled on our hands and knees in the dark water through long, narrow passages with just inches of extra room on all sides – this trip is definitely not for the claustrophobic. I couldn’t help but think that if it started raining upstream we would all quickly drown in a flash flood. But that just made it all the more satisfying when we squeezed through the other side of the last tunnel, soaked throughout and covered in mud. Of course in the US, you would have to sign all sorts of waivers to do something like this – in fact, it probably wouldn’t even be allowed. But here they let anyone try it: small children, and even their grandparents. So if you’re looking for a unique experience that’s a whole lot more challenging than strapping yourself to a zip line, this is definitely something you should check out. Just be prepared for a work out. All inclusive tour – The easiest way to experience the caves is by booking a tour through your hotel or one of the many tour operators in La Fortuna. For around $60 you’ll get round trip transportation from your hotel, a ticket to enter the caves, a bilingual guide and the equipment you’ll need while inside. Driving directions – Although I wouldn’t recommend it, you can drive to the caves yourself; enter without a guide, or hire one on the premises. From La Fortuna, take the road towards the town of El Tanque. Then turn north to Monterrey until arriving at the town of Jicarito. Once in Jicarito, take a left towards Venado where you’ll find a gravel road approximately 3 km long that will lead you to the caves. After a chance meeting with the owners of an online gaming site, my two month Spanish course in Costa Rica turned into a 10-year-long wild ride working in the poker industry. I now work as a freelance writer and enjoy making music and geeking out on foreign policy. Feel free to contact me with any questions, comments or writing inquiries — and don't forget to follow us on Twitter!